Hop on your bike and be the first to take in the 2012 exhibition alongside some of the artists. Cast your vote for your favourite shop front. Cork Cycling Festival has teamed up with Cork City Council’s SMILES project for a second year to bring you this colourful exhibition of children’s art. Awards will be presented at the Festival Opening, 13.00, Sat 21st @ Festival HQ, Grand Parade. Also on display will be the winning film in our Bike Shorts! Youth Film Competition. Gallery on the Go! – Cork Cycling Festival’s first ever shop front cycle art exhibition. 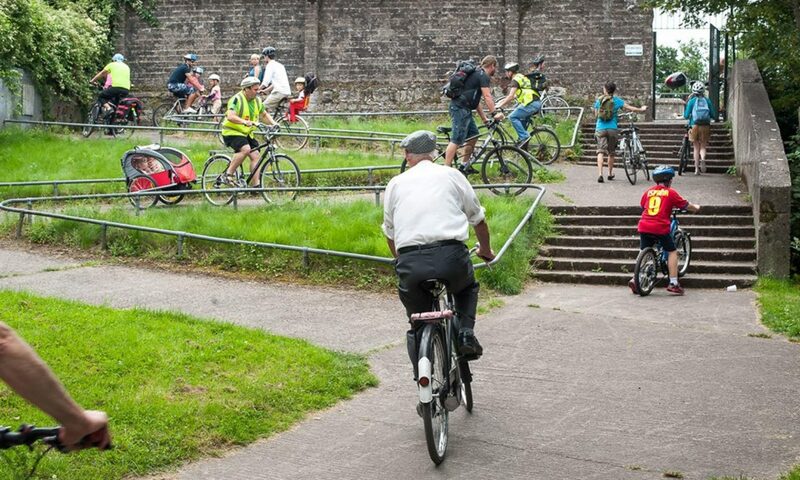 Cork Cycling Festival is entirely free to the public, welcoming all ages and walks of life with a special focus on family-friendly events. The festival is run by a voluntary team who just love bikes as a great way to get about and want to inspire more people to cycle.